The new council are making more use of the square, with the occasional fairs at Christmas and Easter, but nothing on a regular basis. If you have a question about Nerja, or a comment that you would like to make, please use the form below to let us know. do they still have the monthly craft fair at plaza de espana ? Can anyone tell me what time the Jamaca supermarket opposite the Riu Monica stays open on weekday evenings. Our flight gets in late enough, and we just wanted to pick up a few essentials! Just returned from another wonderful visit to Nerja. Marvellous to catch up with good friends especially Gingerhound. Hi, I’m coming out for the week on Friday, staying up in San Juan de Capistrano – which bar or pub would be best to watch the Liverpool Arsenal game on Saturday? Also, We get in late into Malaga on the 3rd, probably midnight after we get our bags, can anyone recommend a taxi/driver to bring us to nerja? A good place to watch the football is OLAS bar on Burriana. For a taxi google Jaime Tours Nerja, there is a form on the site plus a phone number to enable you to book a taxi on line,cost 64euros for up to four people. Don’t pick up an taxi at the airport they cost a fortune and the drivers are not familiar with Nerja. The Sunday market/car boot in Nerja is a valuable part of the local economy in terms of both people selling and buying and it allegedly raises thousands of Euros for charities (although it is a while since we saw any account of where the money went, as Margaret used to provide). Since the manager of the market changed, there is a blatant disregard for those depending on this market by cancelling it before it even opens when the weather is thought dubious by someone who lives miles away the other side of Malaga. Traders with adequate shelter and a long way to travel arrive to find no market and when the rain stops before mid morning, many prefer to chance the weather improving and accept the risk of the market being rained off later on; the majority of would-be customers can’t understand why there isn’t a market when they get there. This is causing a huge waste of time, costing for unnecessary travel and loss of income/opportunity to buy for all concerned and shows a total lack of understanding about what this market represents in Nerja. How can the Lions Club be held accountable when it is virtually impossible to find how to contact them? I think Janet Hassall makes a good point. Offten weather forecasts for Nerja vary from one source to another. Sometimes iNerja weather starts out a bit rainy and overcast, then opens up to be okay. Because you don’t know if the boot sale has been canceled or not, even though the weather is passable enough, you tend not to go check it out. In general, cancelations should be minimal. Unless it’s really clearly bad weather, let the buyers and sellers decide if they want to come out or not. I am very upset about the horses in Nerja who give carriage rides. Their tack is very hard and not cleaned and the horses have large sores on their noses and ears. I have seen carriages in other parts of Europe where the horses and tack are gleaming. I’m sure if Nerja horses were better cared for business would be better. Please can something be done? Painting exhibition: From July 25 to August 15 in the municipal hall of Christ Street 14, Nerja, a collection of paintings by the artist G. Ruiz Sofia G. Ruiz . Opening: July 25 at 19:30. The title of the exhibition is “Imaginary Portraits” and is about contemporary figurative painting, inspired by the human face and the psychological study. More than thirty paintings, some large format, in oil on canvas technique are presented. I am travelling with a friend through the South of spain and right now we are in Málaga Looking for some exciting things to do. We found out that there is this beautiful river path in nerja. Do you guys think its worth to go there tomorrow? Or might it be too cold during this time of the Year? Hello, I am glad that someone has sent you details of the Rio Chillar walk – whatever you do in Nerja you will enjoy it, it is such a lovely place, and the weather will be perfect for walking, I would say. Enjoy it! Awesome how fast you answer! :)thank you very much for the information. And recommendation. We will go there for sure! Does anyone have any recommendations on good bar quizes locally? Cheers! Talking opt golf courses… does anyone remember the one that was built somewhere in the vicinity of the Nerja Club Hotel, going down towards Burriana. You had to be a mountain goat to play it ! Yes the new Mercadona is on half of it now! Better use for it then. I have just left Nerja after six weeks and the new Mercadona had just opened, everyone said it was vast and quiet. I suspect it won’t stay that way. Will use their deliver service when I come back next year. Id quite like a golf course nearby, even a 9 hole. Probably increase property values. The problem is where they want to put the golf course. It’s a privately owned Barranco adjoining the national park. It runs parallel to the dirt road from the Nerja Caves to the picnic ground. It’s a lovely spot hiked by thousands. To build a golf course in this beautiful ravine will require it to be filled in, changing it forever. There’s been a lot of area tourism development around off-season hiking, including the new Venta de Mineros “hikers-hut” in the Fuente de Espero area plus the new 650 KM Grand Hiking Trail essentially looping from the Nerja Caves to Ronda. The impact of the proposed golf course will impact the area in ways not yet fully understood, perhaps negatively. Yes I remember the old nine hole golf course.I played it many times,I was the Director of Golf there. I have never been compared to a mountain goat before but I know what you mean. Do you really believe another supermarket is better than a golf course? Shame on you. I agree with Ryan, a golf course would help house prices. “Frank” Frankling – mountain goat. Who needs a golf course?? ?…increase property values….??? ?Nerja is nor Marbella, thanks God!!!!!!! If you want to play golf go to the Algarve. If you’re interested in property values, move to London! The possibility of one golf course doesnt make the town another Marbella or the Algarve for that matter. Inward investment and capital projects creates local employment but i suppose for the comfortable ex pat that doesnt really matter…..
As a very regular visitor to Nerja for over 20 years I believe that you,Mr. Ryan, must be relatively new to the town given the number of requests for information you’ve made, misunderstand exactly what it is that makes Nerja such a desirable place to visit and live. The thousands who visit each year come to Nerja because of the way it is and there is a golf course nearby. If it doesn’t have what you want there is a simple answer. THE Junta is finally cracking down on housing schemes linked to golf courses. Andalucia has rejected plans to build nine new courses insisting the projects do not meet environmental and town planning demands………etc. How many jobs would have been created ? How many millions pumped into local economies ? How many businesses would have been kept going ? Wise financial decision – at last! Town Planners should/must attend a Golf Industry Convention and hear how the lack of increasing Golfers and the increase in maintenance costs are driving PRESENT golf courses to raise Green Fees, etc or go bust. In the Marbella area, we are MORE than saturated with 27 courses, that are losing money. The “new generation” are NOT going into golf – they cannot AFFORD it as a pastime. Hard to even pay the mortgage! The past “schemes” were just to get planning OK, build Apts/Villas “Front Line Golf” to make money for the developers, not gold operators. go and check the green fee rates, they’re going down!!!! This is my answer to you: I DO NOT THINK THERE ARE MANY EX PATS CAN AFFORD THOSE PRICES!!!!! THEY COME TO NERJA BECAUSE THE COST OF LIVING IS STILL AFFORDABLE”TO HAVE A NICE QUALITY OF LIFE!!! NERJA HAS OTHER PRIORITIES….WATER TREATMENT PLANT, EL PLAYAZO ETC. AND THOSE PROJECTS WILL CREATE LOT OF JOBS AND EVERYBODY CAN ENJOY IT!!! 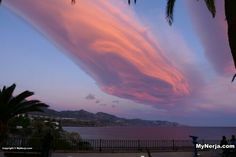 WHY PEOPLE FALL IN LOVE OF NERJA??? FOR ITS NATURAL BEAUTY, TRANQUILITY AND SECURITY (STILL), NO MASSIVE TOURISM, IS A BLESSING THAT THERE IS NO TRAIN CONNECTION TO NERJA, IF NOT WOULD BE AS UGLY AS, TORREMOLINOS, BENALMÁDENA, FUENGIROLA!!!!! Afternoon friends, just back from a very enjoyable week in the town. I read in a couple of estate agent windows that Nerja maybe getting its own golf course, can anyone shed any light on this? Final comment on the mighty Mirasol,absolutely awsome gambas pil pil, ive tried a few places in town and no one gets close, keep it up fellas. I hope you are right, but I think there are reasons to be concerned. There couldn’t be a worse possible location in the Nerja area but the legal actions have already gone to the highest court in Andalusia, with a favorable result for the development firm behind the goft course, which is owned by George Soros, a Multi-billionaire. Phil thinks it is a good thing that there is no goft course but clearly the Mayor and others on the Council think it would be a positive long-term addition for Nerja, and would create employment and ongoing tax revenues. I signed the local Change.org petition AGAINST the golf course and recommend other ex-pats consider doing so as well. This disaster could be further along then we think! Me again, myself and the missus are looking to hire some bikes, suggestions for any cycle trails would be appreciated (flat road). Thanks again. 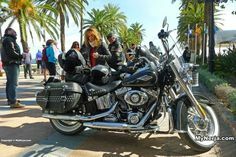 You can cycle from one side of Nerja to the other along the flat, starting at the Burriana end of Calle Carabeo and going all the way to the end of el Playazo beach. The Rio Chillar river side walk has a cycle path that you can follow and you can continue on up the river all the way to the car park at the start of the Rio Chillar walk (or further if you have mountain bikes). If you are brave you can cycle along the N-340 road to Torrox (and beyond), or go the other direction to Maro and the natural park. You can get flamenco at Burro Blanco on Calle Gloria in the old town. Can anyone advise how long the bus journey is from Nerja to Granada? Actually it depends on the specific bus, as they take different routes. Travel time varies from 2 to 2.5 hours. If you are merely going for the day, the first bus leaves at 6:30 AM and arrives at 9:00 AM, taking longer because it goes up the old mountain route above Almuñecar. That road has 1,000 curves! Actually, that is the most superfluous and pedantic message I have ever received. Arriving sunday 3rd August 2014 late evening –where will I find a Supermarket open? There are two mini-markets on Avenida Mediterraneo at Torrecilla (near to the Rui Monica hotel) that are generally open in the evenings. Depends what time you are arriving? Where is the water treatment plant being built? and anyone know what is going on in the campo between the main road and the river where lorries are dumping loads regularly and have been for some time? a certain period of time? Happy Xmas to MyNerja Thanks for all the hard work this year. Many thanks indeed, hope all having a relaxing Christmas. I have heard it’s meant to be open early January. reply to my question. It is very useful information. Anyone know if there’s any Saint Andrew’s Day celebration in Nerja? rent a house for this period as well. It depends on what sort of lifestyle you want. You can rent a studio or one bed apartment for as little as 350 euros a month over 12 months. On a daily basis, eating out once or twice a week, I guess as little as 80-100 euros a week. There are also tax implications – I understand you can only live in Spain for six months of the year without registering for tax. Hi Chris, interested in your post. Cant give you a figure on how much it would cost per month to live as there are obviously many factors to take in to account. Funnily enough I am going out to Nerja in January for 6 weeks to get a feel for living there for at least 6 months of the year. Will be able to tell you more. It is interesting to note that there are many more properties available on a long term rent now than a few years ago. The company associated with this web site are good and I shall be going to see them again in January. 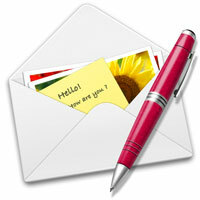 If you want to keep in touch privately let me know and I will give you my email address and let you know my findings. I have been going to Nerja for over 27 years and just love the place ! We are staying at Carabeo end in January. This is my favourite end of town. I expect that may cause some comment on My Nerja – but hey its by no means set in stone for next year ! With regard to tax, although technically you are supposed to become tax resident in Spain if you are here for more than six months in one calendar year, in reality, unless you are planning to work here, most people won’t take the trouble to do so, especially if they are paying tax in the UK. If you are going to work, or stay here permanently, its a different question and you should get paid-for advice. Just noticed that Bollywood Bombay has turned into Gates of India. Not surprised that BB has closed but are these the same people under a different name? Nerja does not need another curry house (unless this place turns out to be better than Jaipur!) so does MyNerja know why the name has changed and whether the chefs are any good? I was given a menu on my way past and the prices are as high as everywhere ekse with no mention of take away discount. Don’t know if it’s the same people but a change of name/ownership doesn’t mean another Indian restaurant in Nerja. If you’re looking for a good take away why not try Little India & Donner Kebab? Good food, freshly prepared, large portions, reasonable prices. Try it, I think you’ll be pleased. Hi how easy is it to move up and down the Costa del Sol by bus from Nerja? We would like to see some of the other resorts or perhaps visit Funegirola Zoo, also is it possible to get to Alhambra palace by public transport? There are regular buses from Nerja to Malaga, where you can change to get buses further down the coast to places such as Fuengirola and there is also a bus service to Granada. Nerja to Granada takes over 2 hours and is €19 return – so not very fast and not cheap either. If you go to the bus station ticket office you can get a printed schedule for the various buses, and can see which ones are more direct. For example, the 9:40 AM bus takes a more direct route to Malaga then the 10:00 AM bus. For Grenada, some buses take the old country road (1,000 curves!) and other buses go out the faster Auto Via route. If you take the bus into Malaga, you can walk across the street to the train station and on the far side of the station you can take the fast, frequent and comfortable Cernicas subway/train to Fuengirola. The train goes via Malaga airport (faster then the airport bus) and is underground for part of the trip. Although it makes various stops, I think it is still faster then the Malaga/Fuengirola buses. The train runs three times an hour in both directions. I wonder if you are thinking of the fantastic food of the Bar El Acebuchal about 5 kilometers up in the hills beyond Frigiliana! It has great food, a lovely rustic atmosphere and a nice looking pool among the rebuilt Cortijos. You can see the pool as you drive down the dirt road into the village. I hike there often from Frigiliana on Wednesday’s with John Keogh’s walking tours (http://mynerja.com/view/services/walking-hiking-tours-with-john-keogh/). We always have a great time and delicious food, although I haven’t ever been in the pool. Even if it isn’t the place you were thinking about, you might want to give it a try! Thank you Ron, it certainly sounds like it – all I can remember is we had some great lunches there. Just looked at Johns walking tours and they look great – if only I were fit enough! However, coming to Nerja in January for 6 weeks and intend to try and get fitness levels up – flat walking only at first. The walk you do on a Wednesday looks wonderful – but not for the faint hearted I think. Hi Angela, the restaurant you mention with the swimming pool is El Cerro, which is high above Frigliana. Had many a good long lunch there. Hi Angela, the restaurant is El Cerro, and yes, it is still open. Thank you Sheila, I remember the name now. Hope to go next year when I come back. Also are there many restaurants open/ or do they all mainly close after a busy season? Some social activities with like minded Brits who can tell us a bit more about spending our retirement in this wonderful town. There will be a lot of restaurants and bars open during the winter season – although many close for a break until March, there is no shortage of places to go. Thanks for you help. I shall look at all avenues including Rosemary…. The council run classes sound good. I am sure there is not a shortage of places to go, but just looking forward to relaxing. Did I see Nerja hasan indoor swimming pool now ? Yes, there is an indoor swimming pool at the sports centre near to the SuperSol on the east side of town. You’re welcome. I am sure you will enjoy your stay here. January and February are a great time to visit. I am looking for an apartment for the month of October until mid nov. What would be the price for electricity and gaz I should expect for 30 days? There has been talk over the last year or so about the loss of English TV stations. When we were there in March we took our own Sky card which worked OK. We are in a different villa this time and I was wondering what the current situation is. At the moment most of the channels still seem to be working and no one knows if or when the new satellites will be switched on and the old ones switched off. Thanks for that Gingerhound; you are the Nerja Meister. We wont bother with our card this time and see how it goes. Its only really so Mrs D can watch Countdown, and I can watch the Rugby League Playoffs which I am sure I can find somewhere. I am staying in Frigliana for a couple of weeks in October and am wondering if anyone knows if there are any English speaking church services in the town. I usually go to one in Nerja when I stay there but it would be more convenient to attend one in Frigliana. I’m so impressed with this site. It’s fantastic. We’re coming to Nerja in October for a family holiday. We have hired a villa and will be arriving on a Sunday afternoon. We will be bringing my two small children and I’m starting to worry that there won’t be any supermarkets open to get basics like milk, bread etc. Do any of the garages open on a Sunday? I’d be really grateful if anyone can help! Some of the smaller supermarkets, such as the one on Burriana Beach, do tend to open on Sundays but for shorter hours. There are also several petrol stations which have small shops attached, which should be open on a Sunday. The Supersol near us has been opening on a Sunday but that is usually just in the main Summer months (unless that’s changed and I’ll find out when I arrive next week!). Hope you have a wonderful holiday. Regards, Sue. Hi, Jamaica supermarket opposite the Riu Monica Hotel at Torrecilla seems to be open all the time and not too expensive. Also there is one at the bottom of Calle Filipinas at Burriana, it’s a bit expensive but if you only want a few essentials until Monday it’s ok.
Hola, we are really looking forward to visiting Nerja for the first time over Christmas this year. We have booked an apartment and so are looking forward to cooking some great fresh food, but are also looking forward to eating in some great, traditional Spanish restaurants. We would in particular love recommendations on where to book to eat on Christmas Eve – thank you in advance! I know that we can ‘google’ places but I’d rather hear your personal opinions if possible! The Spanish treat Christmas Eve (Nochebueno) as their Christmas Day for families so not all restaurants are open although with the current financial climate more may open! I would keep an eye out on various Nerja information websites including this one, Nerja now and Nerja today for which ones are opening. definitely book somewhere for Christmas day lunch well in advance. I like Pinocchio’s for a variety, don’t be put off by the Italian looking menu! on a recent visit to Nerja, I saw various Junior football teams training on the newish six a side floodlit astro pitch at the Parc Verano Azul just off Calle Antonio Ferrandis Chanquette. I am a quaified goalkeeping coach and would like the opportunity to assist with coaching on my visits to Nerja. I would desperately like to know what happened to two very good friends of mine who lived in Nerja some 30 years ago. Although they were both good friends, for some reason I only ever knew their first names. Martina was a German girl. She lived with a guy called Jesus very near to the Balcon. Jesus was an Electrician. My other friend’s name was Roswitha. She was Austrian and an Artist. She did beautiful drawings in crayon. She lived with a gypsy called Manolo. Manolo worked in El Colono playing the guitar. Sadly he died of cancer when in his 30s. I’m not sure what happened to Roswitha after that. I myself married a Spaniard who used to work in El Burro Blanco. We moved to the UK and I sadly lost touch with my friends. I would love to know if anyone remembers them or could tell me where the ladies are now? Many thanks. I can assure you that Jesus was a carpenter, not an electrician. I was sure he was an Electrician, as that was how I first learned the word Eelectricista. I asked his girlfriend, Martina, what he did for a living. Can you tell me anything else? What happened to him and Martina? Absolutely, and his mother, Mary, was a virgin! I usually travel to Nerja via bus from the airport to the estacion autobus then on to Nerja. I have been told that you now have to get a ticket for the airport bus from a booth/ office rather than on the bus from the driver. If so where is this located inside or outside the arrivals building? They don’t always let you go back in if you can’t find somewhere you need inside. _ I don’t want to pay for a taxi!! When you arrive at the Malaga bus station go inside the main building and turn right. The ALSA booth is the furthest booth on the right. There is usually a long line waiting, or there are ticket machines with no waiting (If you can understand them!) By the way this has been the system for at least the past five years, I have always used it and it works well, the cost is 4.13 euros single. I have done the journey a few times, but not since 2011. Bought the ticket inside the main terminal building, from a booth then. You reach this area by taking signs for autobuses. You can buy your ticket from the bus driver. Was back and forward several times last year. Go to the Alsa booth inside. Depending on your baggage situation you might want to take the underground train from the Malaga Airport to the Maria Zambano train station, which is accross the street from the bus station. I think it is called the Cercanias. It runs three times an hour between Malaga and Fuengirola, via the airport. It is fast, only about 7 minutes from the airport to the Maria Zambano train station stop. I think it is The third stop. the train continues further to Central Malaga. The train station is directly accross from the arrivals exit. It drops you off on the far side of the train station, and it’s a bit of a walk to the other side of the station to the door leading accross the side street to the bus station. The buses to Nerja seem to leave from the farthest gates (number 35 generally) and are packed this summer so you might want to first go inside to buy your ticket to make sure you get a seat. Try to take the most direct bus. The buses going along the busy coast road through Torre Del Mar take forever.one more point is that the airport busses don’t run as frequently as they used to, and take a longer, slower local route. i think most people use the airport train to get to and from the airport. The work on the car park has certainly stopped at the moment (cars are parked there instead), but when it will re-start is not clear. There appears to be some activity in two of the “walled waste ground” areas today (29th July 2013) on c/Almirante Carranza. Bulldozers are clearing the spaces. Is this possibly the Ayuntamiento considering return to parking? we are a family of 5 looking to mingle with the locals for 4-6 weeks this coming fall. Kids are 12-14-15. Improve our Spanish. In what area of town, should we look for rental maybe close by some Collegio? Hi, Does anyone know if Poseidon Restaurant (Zorbas) is still open? The food has always been delicious and the service good but a friend has just returned from Nerja and thinks it’s closed down. Poseidon does appear to be closed at the moment. There is no sign in the window to say when or if it will be re-opening. Sad news, hope it’s only temporary and thanks for taking the troubles to investigate and reply. Caterina, I could give you guitar lessons. Let me know if you are interested. Is there anywhere in nerja to hire beach chairs ? If you just want a basic beach chair, there are lots of shops that sell them quite cheaply, otherwise you could try the Nerja Hire Centre. hi could anybody tell me if there is english speaking gym in nerja and if you can join it on a monthly basis as we are coming to nerja for 8 weeks. Yes you can – there is more information on the link I posted. We are arriving Nerja for family holiday on 25/05/13. Son, Son-in-law, and Grandson football fanatics and are planning to attend match in Malaga on the Tuesday of our stay, do you know if there is a local supporters club who maybe arrange transport they could get in contact with? Last time I was in Malaga I went with the Guiri army to a Malaga match but that was not from Nerja. They have a website with contact info so send them an email, maybe they can put you in touch with someone in Nerja who goes. http://www.guiriarmy.com/ Otherwise just get the bus to Malaga, its a simple walk from the centre along the river to the ground. 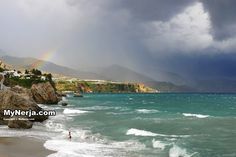 1st time coming to Nerja on the summer, do you recommend to use swimming shoes at the beaches around Nerja? Are there sea urchins or sharp rock beaches there? Hi Mark. It depends on the beach, some are sandy, others can be painful (especially if you go to the more remote beaches in the natural park), so a pair of crocs will come in handy. Hi, yes the beaches can be quite stoney and so the best bet I find is to walk down to the sea in a pair of flip flops and then just as you get near enough to avoid them getting washed away, leave them on the beach and carry on into the water. Good to luck for a landmark as to where you left them though as you could end up drifting down the beach and then losing them! We are just booking our return visit to nerja this year in October .We were there last year for the Oct festival and while we enjoyed it we stayed in the Carabeo area which was very noisy .Could any one tell me dates for this years festival so we can book some other area that is a little further away and a little quieter .Any suggestions welcome. 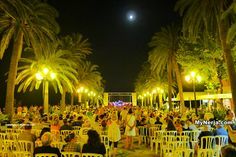 The Feria dates haven’t been confirmed, but if you are visiting in the week of the 8th to the 14th you are better off booking in another part of Nerja. Either the Parador area, or the Torrecilla area are both convenient locations and should be nice and quiet even during the Feria. Hi! Tomorrow we are leaving Gothenburg for one week in Nerja. We are staying at the Calabella hotel. We sure look forward to be in Your qute town for vacation. One question: we plan to visit the Al Hambra Castle and the mosque in Cordoba. Is it possible to get swedish guiding there? Audio-guides are available in 5 languages (Spanish, English, German, Italian, French). These are available in the atrium (by the ticket offices) and at the gift shop in the Palace of Carlos V.
Do you mean the Alhambra in Granada? If so yes you can get an audio guide, hand held device. Just select the language that you want 🙂 and it guides you around the whole complex at your own speed. Oh just noticed the date you posted. Hope you enjoyed your stay? I think I recall seeing one downstairs at the Beach Cafe in the Balcon de Europa hotel. Hi Caroline. The programme for the cultural centre is published at the start of each month, so we will know in a week or so. Re the Nerja Players try emailing them on membership(at)nerjaplayers.com. I am the secretary of the Nerja Players. We are English speaking but from a number of countries and we welcome any new members. 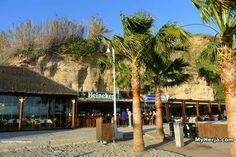 We meet on the first and third Tuesdays of each month between October and March (inclusive) at 1900 / 7pm in the premises of the Nerja Bridge Club at the top of Avenida Castilla Perez (the blue double doors). Please email me if you would like more information about the kinds of things we do. Thank you so much for your response,I have since looked on line and found the Nerja Players Web site.Would be delighted to visit a rehersal some time,As i will be in Nerja end of April seems i’ve missed out on this season,but wish you well and look forward to singing a bar or two with you all sometime soon.Kind Regards From Tipperary Ireland,Its Not Such a long Way…. I´m moving to Nerja very soon. Does anyone know if there are any art groups in town? Also , are there any stores which sell art supplies ? 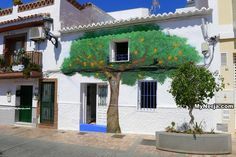 canvases, paints etc…..
Hi, I was interested in your post as I am an artist and moving to Nerja gradually over the next few months. What sort of art group would interest you? I am planning to start a life-drawing class/group to be held on a fortnightly basis, for instance. I can also give tuition to a small group. So if you’d like to keep in touch, we might be able to exchange email addresses. Your picture of the aqueduct reminds me that well intentioned beurocracy and a disregard for the past can be ruinous. This was a beutiful landmark that carried the scars of it’s history, but it’s restoration makes it look like a Disneyworld creation. Could we please have the original back! Exotica is on the main road out of town. There are pavements on the main road. Nearest supermarket is a Lidl across the road. It will be a 20 or 30 minute walk to the beach and is not the best place to be without a car. The Tapaculo will be buried at the end of the Maro fair. Is Tapaculo a slang description? It doesn’t appear in the dictionary. Hi I am over this weekend for a couple of weeks and as a first timer in Nerja am looking for somewhere lively for the six nations rugby. Any suggestions? For the Six Nations try the Irish Harp bar on Calle Carabeo (near to the Balcon de Europa). The Sportsman Bar, up the hill past Supersol (just near the big sports centre) is great – we watched a lot of the Olympics there last year. British owned, very friendly welcome and plentiful food. Can anyone tell me how you buy the prepaid cards for the Carabeo car park. I would think it is at the entrance but not sure. You just buy them from the office at the entrance to the car park. Make sure you buy them on the way in though. So far only a limited number of stations are no longer received here in Nerja on Free Sat. Those channels no longer received include channel 5. As of today, BBC and Channel 4 are still on, but the word is they will be gone from satellite viewing by sometime this summer. Hopefully you will be doing some coverage of the new beer shop on Calle Huertos. I went in and it has what Nerja is missing whcih is great beer! It would be a shame if people who like beer with flavour don’t visit the shop and try one or two. I never knew there was a brewery in Granada making a stout at 9% with Sierra Nevada water! And delicious it is too. And loads more from around the world too. There is a bus from the airport into Malaga bus station. Then there are buses to Nerja. We prefer to take the train to Malaga and then the bus. (The bus station is next to the train station). The only direct bus service between Nerja and Malaga airport runs once a week on Mondays. 9am from Nerja and 11am from the Airport, so not much use to anyone really. There are trains running three times an hour from the airport to Malaga Train station. The airport train station is directly across from the main terminal 3. The train from the airport takes approximately seven minutes to the main train station. I think it’s the third stop but it is clearly indicated in the displays inside the train. If you have a lot of baggage, you may want to take the elevator to the departure track. The trains run in to directions, to Malaga, and on to Fuengirola in the other direction. When you arrive at the train station you have to walk across the front of the station to the side door leading across the street to the Bus Station, where the Nerja bus seems to always be leaving from the farthest bus gate. I think the train is now the better means of getting to the Malaga Bus Station because the previous city bus now takes a longer local route with many stops. Also the city bus doesn’t operate as frequently as the Malaga train. thankyou for your reply it was very helpful. We have caught the city bus in the past but this has caused difficulties at busy times as my husband is partially disabled. We will certainly try the train. Thankyou once again. My wife and I will be staying in Nerja for 8 weeks During January-March next year. My wife is keen to keep up with her aqua gym during this time and was wondering if there are any gym/pool facilities actually in Nerja town which are open to visitors (ie non-members for instance). Can anyone help me please. We returned from Nerja yesterday and we bought a little stone necklace with a jewel in it from a shop near the balcon for our grandaughter who lost it 2 hours after having it. He makes them from stones from the beach and writes the childs name on the front. Does anyone have an address, email or tel number as she is distraught and I would like to try to get another. Thank you. Hi, I know the shop you mean. I’ll go and try to get the details you need. Will get back to you. Taller de Piedra is the name of the shop. Owners: Jose L. y Susana. Thank you for your trouble Jenny, I will contact him directly. arriving 29/10. What are the opening times for MAS supermarket? The MAS is open 9am to 9pm Monday to Saturday. We are spending the winter in Nerja. Is there a gym in Nerja? The gym just up from Supersol, part of the big sports complex, is also open to non-members, you just pay I think 4 Euros to go in. Small and basic but we used it a few times during our last trip and will do so again. You can also get a fantastic full English Brekkie from the German bar just outside the sports complex. Yes I can vouce for that – we’ve had breakfast there as well and it was very reasonable. Good views of the running track while eating, too, which my teenage daughter quite enjoyed given that there was a football team training at the time! Hi, anyone know a good english speaking doctor. Developed a inner ear infection and need medication. You can try Dr Rik Heymans on Calle Angustias in the centre of town, or the Clinica Rincon opposite the Supersol on the west of town. Is there a shop or business in or near Nerja that will fill my balloons with helium and decorate with curling ribbons and weights for a party or do I need to find one in Velez Malaga? Lots of party stuff . They might have what you are looking for . Anyone know a place to get my hair cut. Only need need to be clipperd, as clippers I have’ broke on way over. Try John the Barber on Calle Gomez. This is the narrow street next to the street where the tourist information office is on the Balcon de Europa opposite the church. johns great my boys always go there! You can try the cafe Las Cuatro Esquinas on the corner of Calle Pintada and Calle Las Angustias – they do churros in the mornings. Last year, we couldn’t find anywhere, and this year, there seem to be several places serving them. Though they were well worth the wait. Hi Would you advise to drive to Granada from Nerja or is it possible to get a local train? There is no train station in Nerja, so your only options are bus or car. The buses go from the bus station on Avenida Pescia and take 2 to 2.5 hours to get to Granada. It is quicker to go by car, and the roads are good all the way there, so for many people this will be the best option. We will be staying in Nerja in September. Our flight lands at Malaga at 9.30 p.m. (Wednesday). Is there anywhere we can buy provisions (breakfast stuff, beer etc) on the way from the airport to Nerja at that time of night? There are several petrol stations on the way in to Nerja which will be open, where you can get some basics. I am getting married in September 2012 in Nerja. Can anyone tell me if the large lettering NERJA is still at the entrance to the Town as I thought it would make a great photo shot. Yes, the letters are still there, just outside the Nerja Donkey Sanctuary. I was in Nerja recently and didn’t see the little Tourist train – is it still running? Yes, it goes from Plaza Cangrejos now, down by Torrecilla Beach. I am looking for a bicycles shop to buy inner tubes for a race Bike. Have you tried the bike shop just up the road from Mercadona (Calle San Miguel)? How far out from the beach are the swimming areas protecting bouys and lines in feet from the shoreline? The buoys are around 250m or 820 feet from the shore. This is only an approximate distance, especially for the smaller bays. 125cc scooters start from 35€ a day, and a 250cc motorbike is 59€ a day. I came to Nerja last year and did a little bit of sea fishing from the shore with no luck. W’ll be there again next week so would like to know where would be the best place for local fishing info. The gym on Calle Pescia (the main road through the top of Nerja) does Zumba classes. There is also a gym by the entrance to the Los Huertos, Calle Carabeo car park that does exercise classes in their pool. Can anyone tell me please if it is easy to purchase post and packaging supplies in Nerja, such as bubble wrap, jiffy envelopes, plastic postal bags, corrugated card etc. and if so are they expensive. You can get packaging materials in the various Chinese Bazar type shops quite cheaply. There are also a few stationers in Nerja, such as the Mena on El Barrio, although these will be more expensive, they can get you anything you need. I am coming to Nerja for a couple of days in May to get away and also to look for some part time/seasonal work for the summer. I have vast work experience and partial knowledge of both German and Spanish and was just wondering if you knew of anything available at all or even if you had vacancies yourselves? I realise that this may not be the place to request for advice on a job search but I am willing to try my hand at anything and would be very appreciative if you replied. Muchas gracias. Its not going to be easy to find a job here in Nerja, given that Andalucia has the highest unemployment rate in Spain, there are a lot of people chasing the few jobs that are on offer. Some restaurants will advertise jobs such as waiting or kitchen staff in their windows, but you have to be here to see the adverts and apply for them. Also make sure you bring your CV with you and take it in when you see a job advertised. There are also office based jobs advertised from time to time and the local papers have job adverts. So bring copies of your CV with you and start looking when you arrive, but don’t expect to find something easily. Visiting in May and your site is proving very useful. Thanks. Only one slight concern, am staying at the NerjaPrince because I wanted to be in a small hotel in the old town, & you do not list it. The Nerja Princ/ess (note they seem to call it different names) is a small hotel in the centre of town. Everything is nearby and it seems like a nice little hotel, so I am sure you will enjoy your stay. If you are bringing your car you will have to pay to park in the Los Huertos carpark behind the hotel. The streets with all the tapas bars are just around the corner, 5 minutes walk away. There are several ‘ferreterias’ in Nerja which sell all kinds of DIY supplies. In the old part of town there is one called ‘Martin’ which has two shops just over the road from each other. The addresses are 101 and 124 Calle Cristo. There is a place on the right hand side of the road as you leave town for the motorway, just past the Lidl roundabout. It has a range of fencing and posts on view from the road so you can’t miss it. Hi – does anyone know where you can hire bicycles in Nerja? Plenty of motorcycle hire shops but we could not find anywhere to hire a pushbike when we were there earleir this week. We’ll be back again in May and would love to do this if we could. is there anywhere in town that does bicycle repairs? Is there any bars or pubs showing the Cheltenham races next month? We’re arriving on the 13th March and keen to find somewhere to watch them. Cheers for that Marqueemoon, Numero Seis, Buddys and El Bosque seem to be the names that I keep hearing, we’re staying down that end of the town as well so they’re all within a stones throw. Looking forward to the few days away now, roll on the 13th! Good luck, if you have any tips let us know! I have checked with Niall from Numero Seis and they are definitely showing the racing. Do you know if te carpark will still be open during the carnival or does it close? I sold my studio on 12th January, 2011 (last year). Do I need to pay IBI for the year 2011 and if so, how do I find out how much it is and how do I get a bill? As far as I know the IBI falls due to whoever owned the property on the 1st of January (which is the start of the tax year), so if you owned it on that date, you are liable. However normally when you sell/buy a property bills are all paid up to date and things like IBI are split pro-rata between the old and new owners – your gestor/abogado should have sorted that out at the time. You could go back to the new owner and ask for a contribution? If you have any doubts about what to put on your form you should ask your gestor or other suitably qualified advisor. week before that day, street vendors suddenly popped up all over town selling cheap drums with a dowel rod through the skin of the drum. People would rub their hand on the dowel rod, and it would make a loud sound like a bull roaring. What do they call those drums? What are the dates of the October festival in nerja this year. We want to make sure we are there for all 5 days? thanks for letting us know – we’ll be there!! They should be – I just saw Ron out for a walk on his day off – I’ll ask him tomorrow. Yes, Buddys will be open on those dates. They may take a few days off for holiday in the run up to the season, but that will only be during the week, so Sunday lunch is go! Yes they will both be open. Have a good time!